Japan’s Atsushi Kotaki of Kikkake Toys the makers of those fantastic mechanical looking IRON Monkeys and the infamous blowup dolls are back from STGCC 2018. A surprise to us that they have launched STGCC “Monkey King” orange edition online! No monkeying around as we assume these hard to own Monkey King are limited to F and no word how many have been made available. 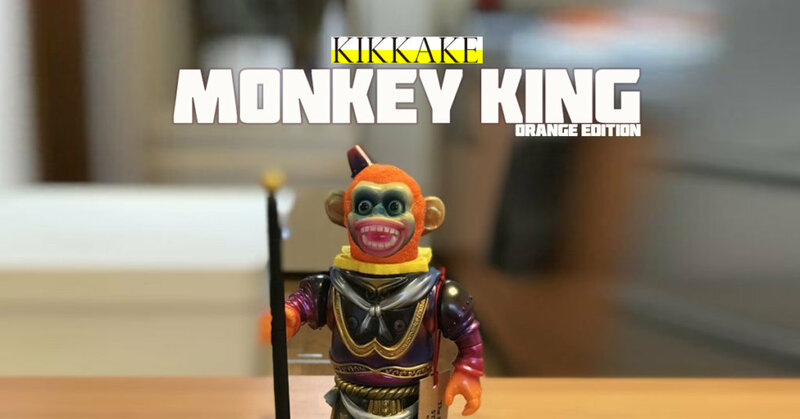 So less waffling from us and details on how to cop Monkey King Orange Edition By KIKKAKE are below. Check out our Lai‘s photos of the alternative colourway. Find Kikkake via http://kikkake08.blog41.fc2.com/ and Instagram.